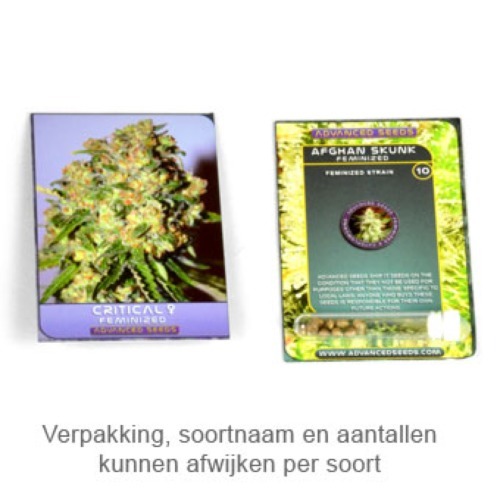 Auto Blue Diesel autoflower from Advanced Seeds are feminised cannabis seeds from high quality. This Indica dominant weed strain is originated by crossing the Auto Biodiesel mass x auto Blueberry. Advanced Seeds Auto Blue Diesel is appropriate for an indoor and outdoor grow. This weed plant can reach a reasonable height, therefore she is not suitable for a balcony or for places with little space. The taste and smell of this weed strain is very intense. She owns the acid of the Biodiesel mass and the sweet of the Blueberry. You definitely have to try these feminised autoflowering seeds! Tell us and our customers what you think of the Auto Blue Diesel from Advanced Seeds.